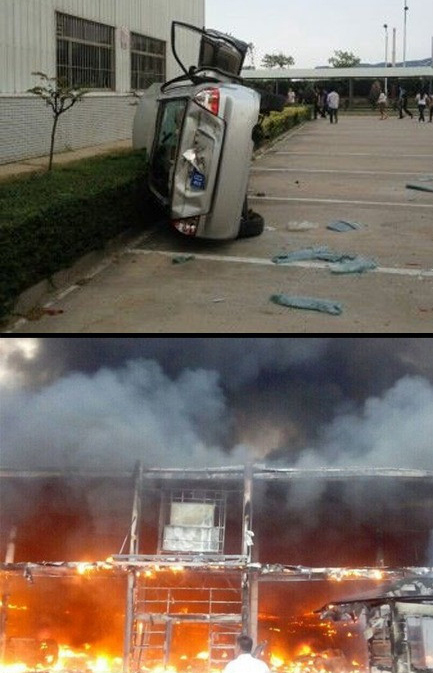 Instead we'll let the pictures do the talking. 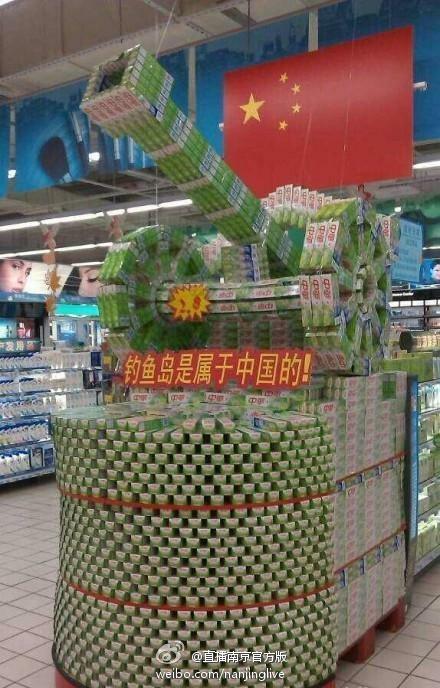 A store display in Nanjing bears the sign THE DIAOYU ISLANDS BELONG TO CHINA!. 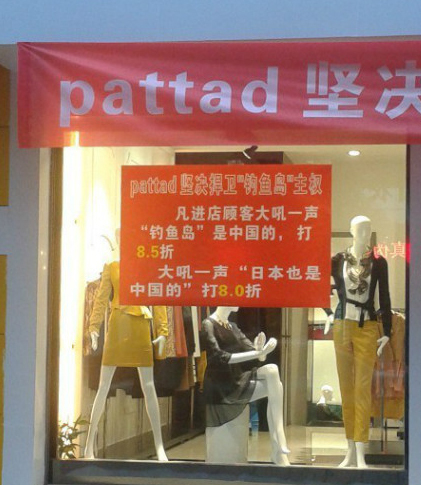 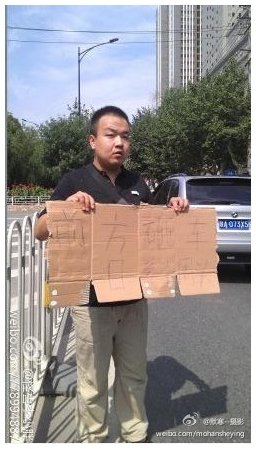 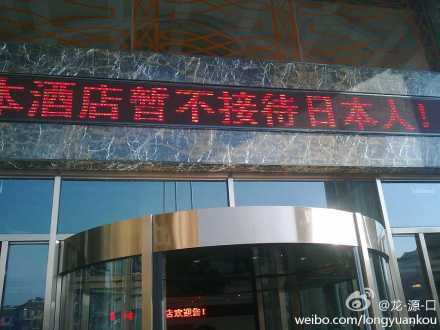 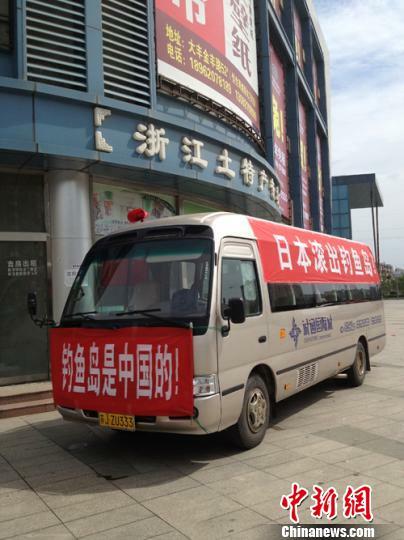 A banner on a store called pattad reads: "pattad firmly defends China's right to the Diaoyu Islands. 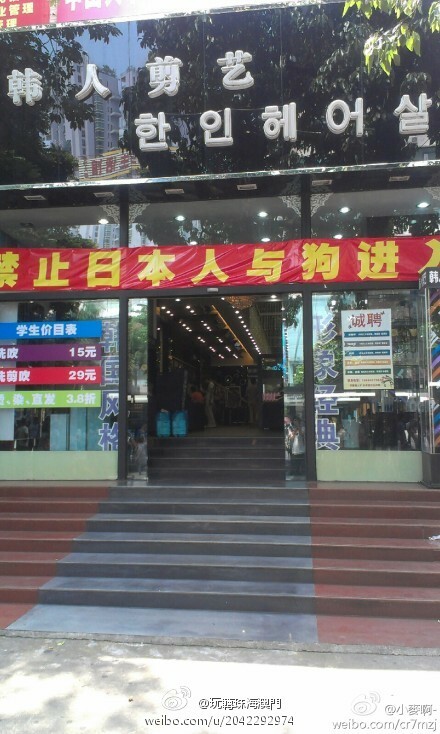 / We will give a 15% discount to customers who yell THE DIAOYU ISLANDS BELONG TO CHINA! 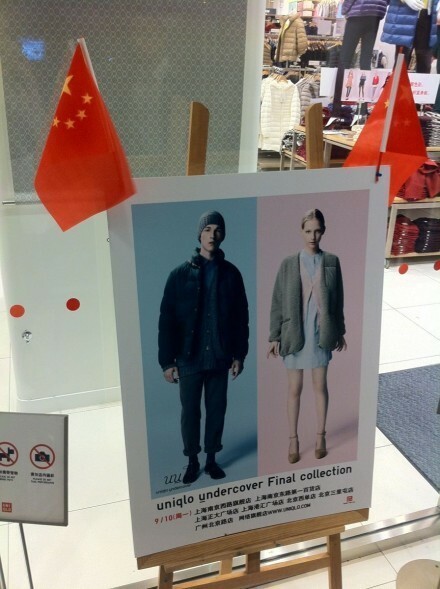 in the store / We will give a 20% discount to customers who yell JAPAN ALSO BELONGS TO CHINA!" 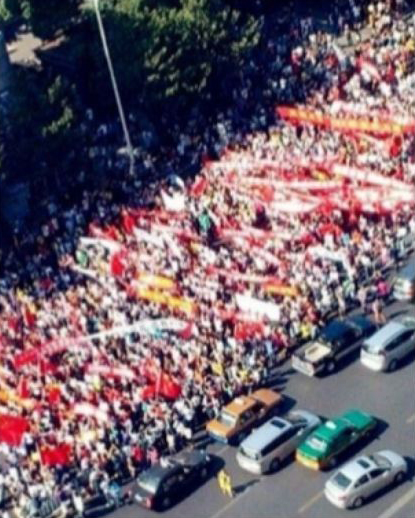 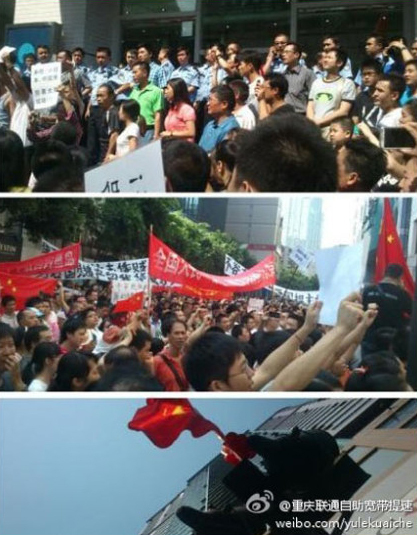 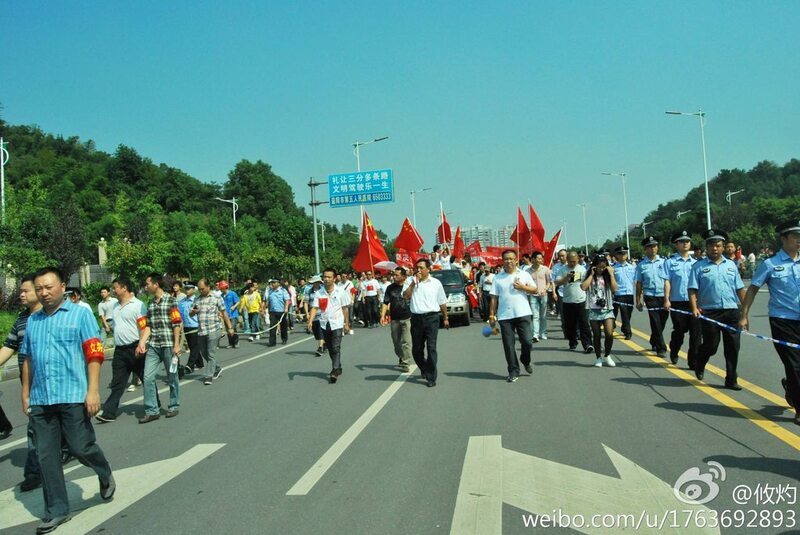 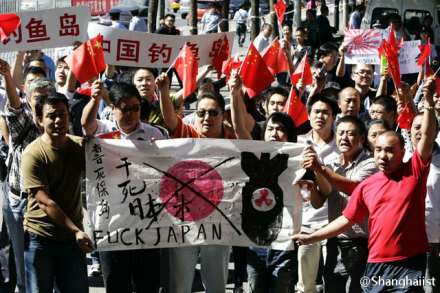 Chinese protestors congregate outside the Japanese embassy in Beijing. 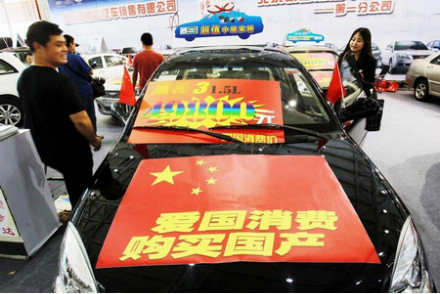 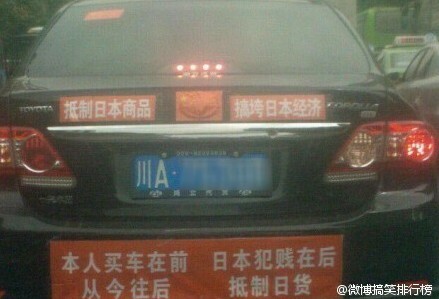 At an auto show, a Chinese brand car is draped in a PRC flag that reads PATRIOTIC SPENDING / BUY CHINESE GOODS. 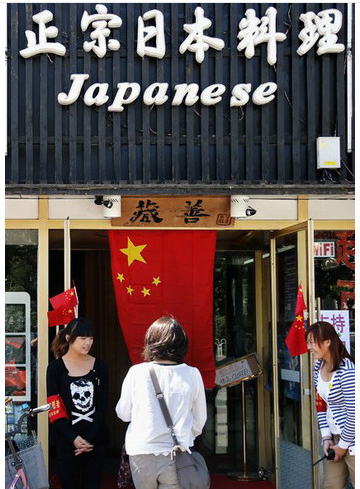 Chinese flags outside a sushi restaurant. 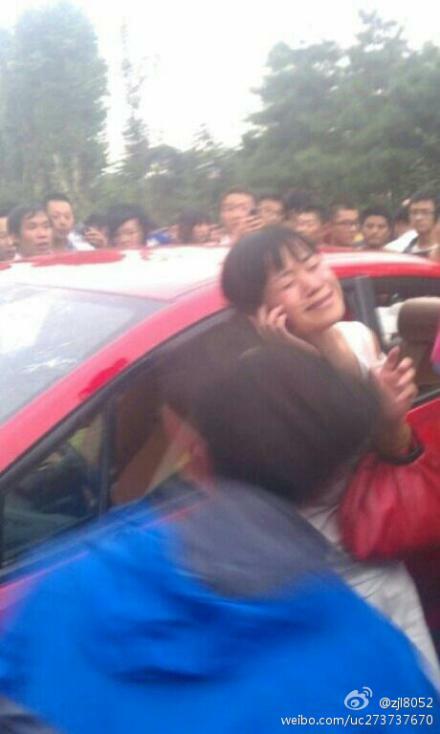 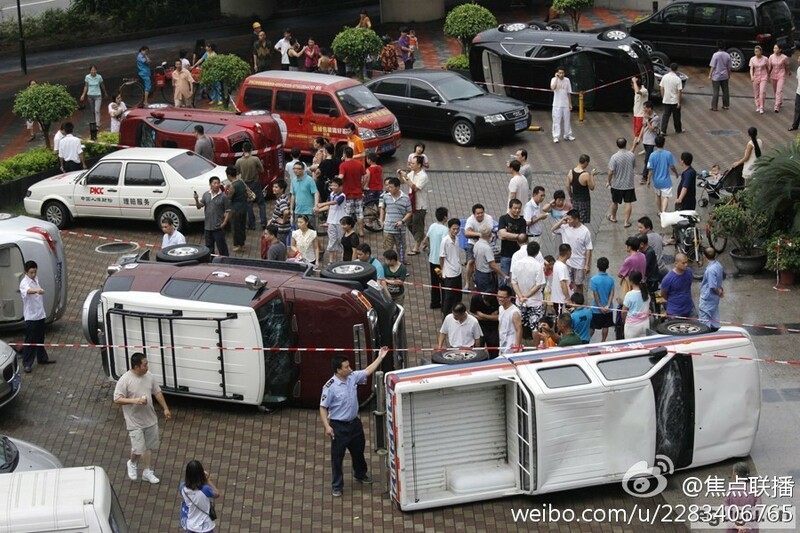 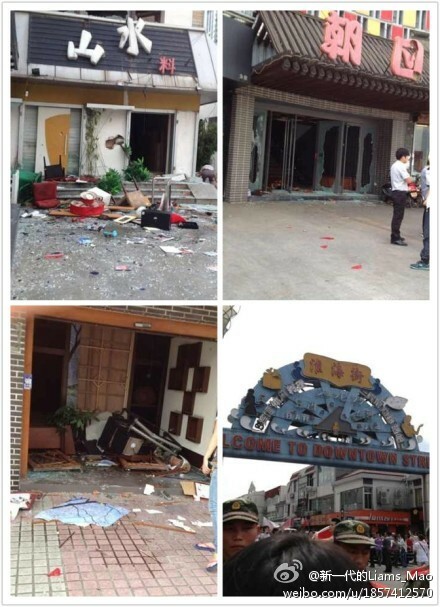 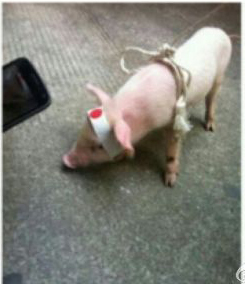 A sushi restaurant in Suzhou is demolished by protestors. 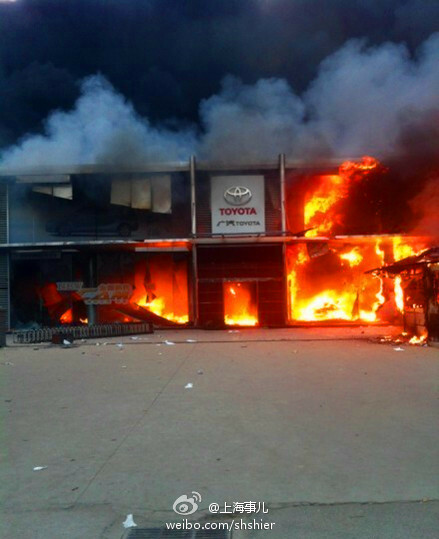 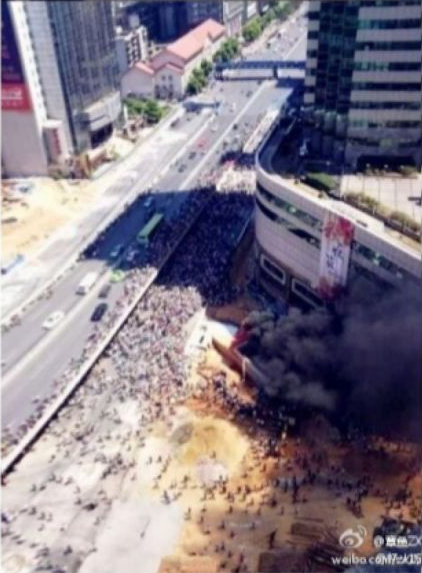 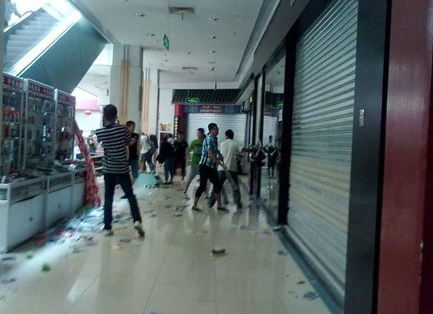 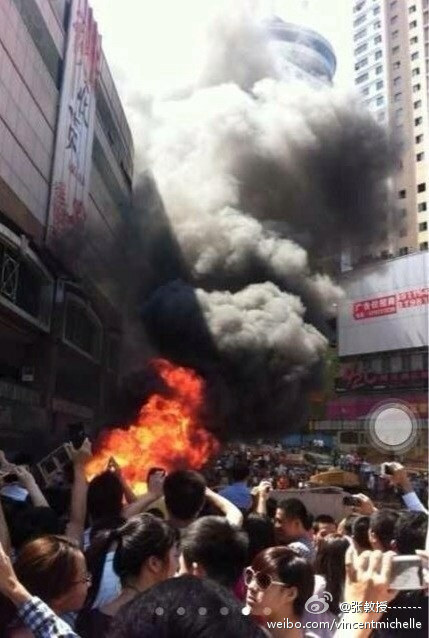 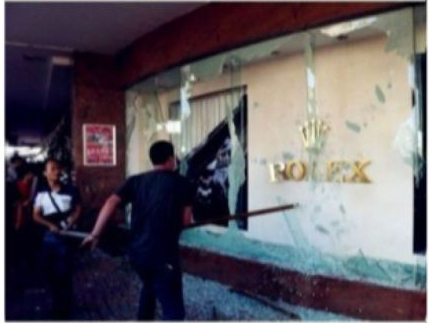 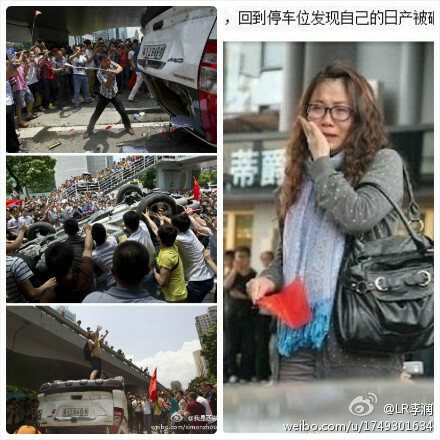 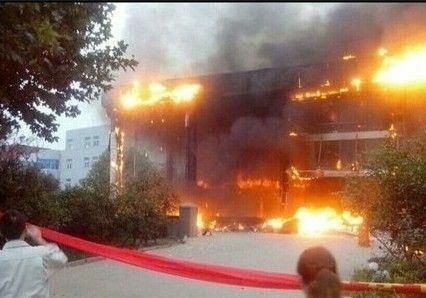 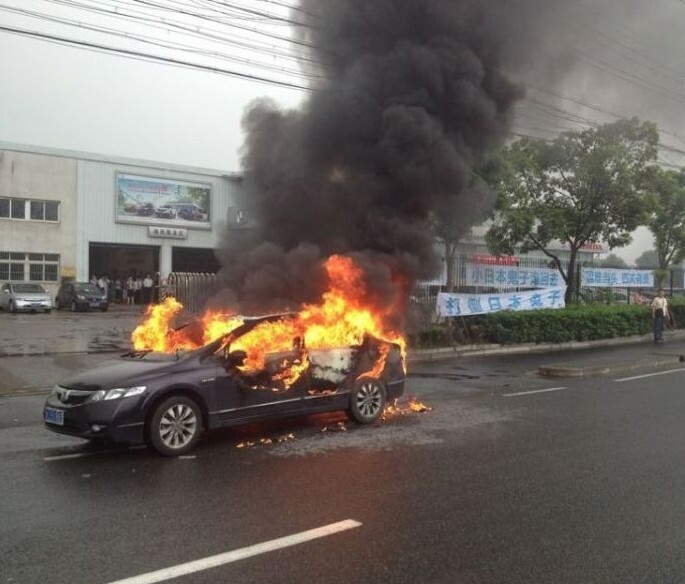 Rioters in Qingdao demolish shops. 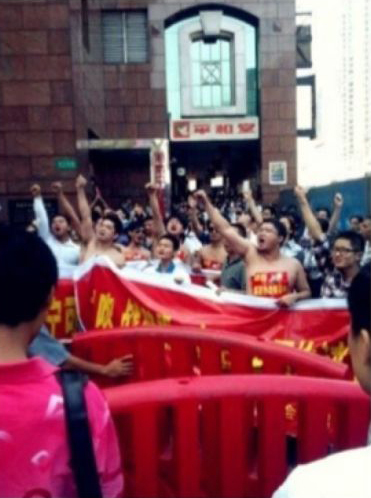 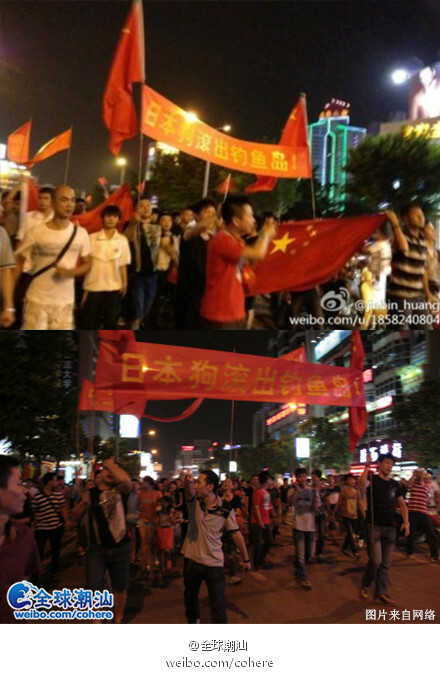 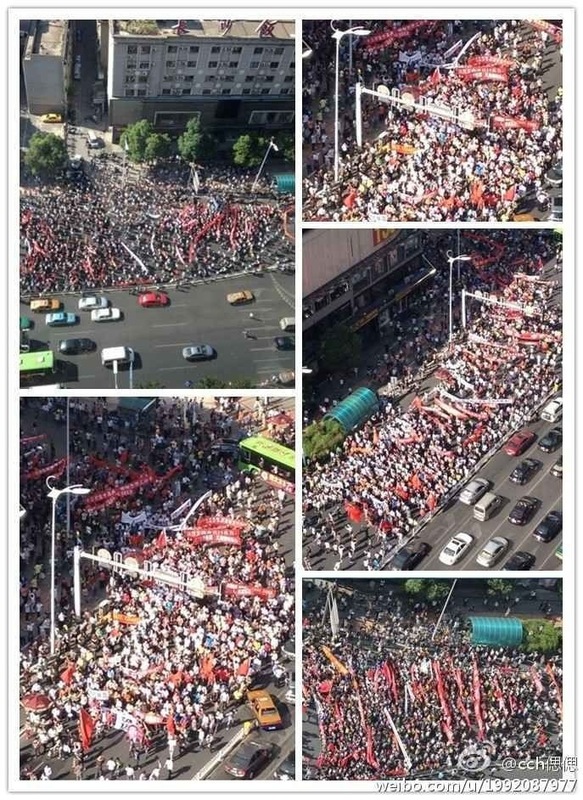 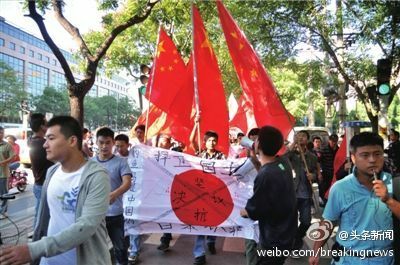 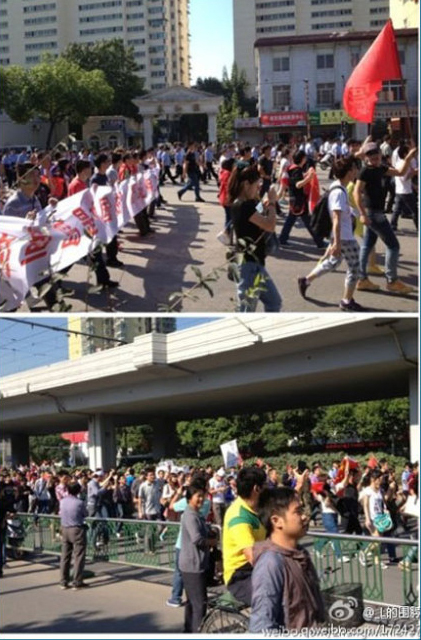 "JAPANESE GUESTS ARE NOT CURRENTLY BEING ACCOMMODATED BY OUR HOTEL"
Protestors rally outside a Heiwado shop in Changsha, Hunan.